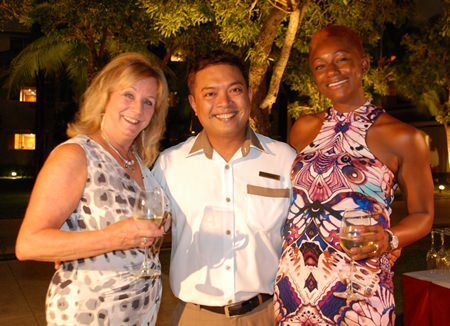 The Amari Pattaya held another of it very popular monthly ‘Wine Experiences’ on Friday the 26th of September. On this occasion the wines were supplied by World Class Wines Co., Ltd, a company that has a long legacy of bringing fine wines to Thailand. The guests were welcomed with a traditional glass of bubbly, namely the Don Luciano Brut, which was perfectly chilled and delightful to sip as the sun set around the gardens of the Amari. Pongsak Tiamsuttikarn, Marketing & Sales Director of World Class Wines Co., Ltd., Patcharakorn Santiprasitkul, Vice President of Pattaya Beverage Marketing Co., Ltd. and Wason Tongjareanpanis, Assistant Manager of Pattaya Beverage Marketing Co., Ltd. at the wine tasting event. The wines for his event were all from Australia; we started with the Cockatoo Ridge Chardonay 2013 which is composed of 100% chardonnay grapes. This was fresh and crisp with hints of soft fruits such as melon and peaches. 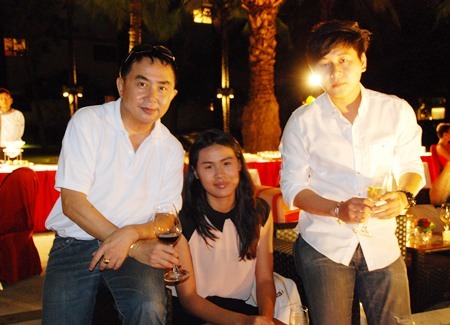 From L to R: Marry Adams, Thanakiti Saivichittree, Manager of Food and Beverage of Amari Pattaya and Eg Brubaker. This was followed by the Rockbrook Sauvignon Blanc 2012, and again citrus, grapefruit and oranges made this a delightful alternative. Chef Leonard had created a superb menu including cream of spinach soup, a succulent side of perfectly cooked roast beef served with a variety of sauces, mini pizzas, pumpkin and fate cheese brucheta and a selection of desserts. 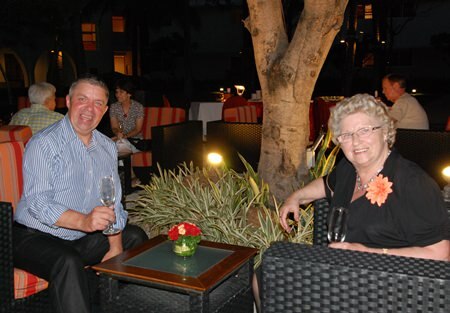 Paul Strachan and his mother Maureen enjoy some Australian wine at Amari. The reds for this occasion were a 2012 Cockatoo Ridge Cabernet Sauvignon which comprises of a mix of Cabernet Sauvignon & Merlot grapes which left traces of cherry & mint on the palate and the adventurous 2011 Rockbrook Shiraz, bursting with blackberries and raspberries, with a dash of black pepper. Next articleWhat did we learn from the Japanese GP?